In case you missed my gift guide for Perpetual Kid last month, I have created another one for you today that features more of my favorite home, kitchen , and novelty food items. 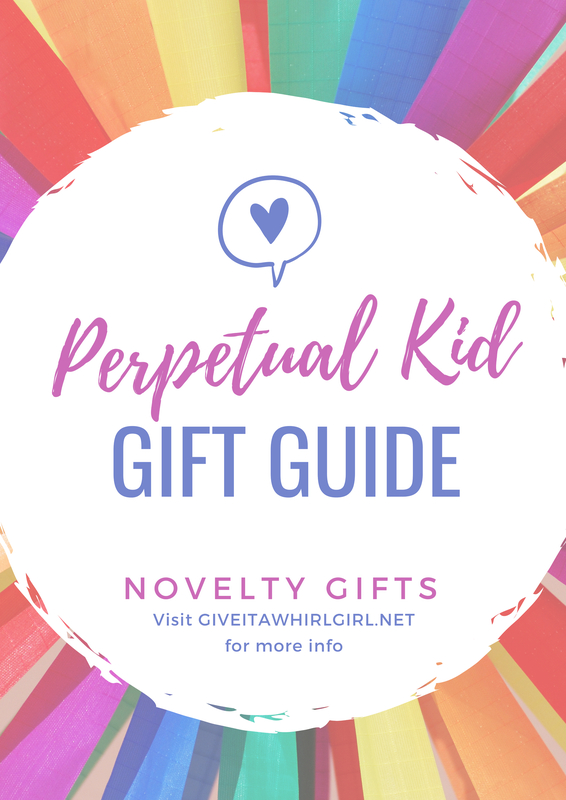 This Perpetual Kid gift guide has the best of the best that is offered at Perpetual Kid. This online store has some extraordinary and unique items that make life enjoyable and will surely slap a smile upon your face. Perpetual Kid is all about good times, having fun, and has some items that will result in those belly laughs that make so worth living! Click the banner below to shop or you can stay for awhile and see what my favorite items are in this nifty shopping guide! Looking to inject some humor and fun to the dinner table? This Nachosaurus chip & dip set has got you covered! This Nachosaurus chip and dip set is not only perfect for your little one but also for the adult who is young-at-heart. Because every morning should start with sunshine, rainbows, and pure happiness! This motivational phrase mug is perfect for your cup of Joe at the start of the morning. Make your morning a magical one with this colorful unicorn mug. Perpetual Kid has some very unique food-scented candles for the foodie in your life! These candles were created by The Stinky Candle Company and these are sure to result in some laughter. There are several different food-scented candles available at Perpetual Kid including: pizza, burrito, popcorn, pickles, nacho cheese, fast-food, bacon, red wine, and beer! Would you like to see all of the scented candles available at Perpetual Kid’s online store? Simply click HERE. I am head over heels in love with the tea infusers that are available at Perpetual Kid! I love sipping on a warm cup of tea mid-day and these tea infusers are some of the most adorable and clever designs I have ever seen. As you can see below, there is a sloth and a pink elephant tea infuser available at Perpetual Kid but there is also a kitty cat, swan, seahorse, turtle, unicorn, llama, narwhal, polar bear, andÂ manaTEA. See all of the tea infusers HERE. Perpetual Kid has an extensive offering of hilarious dish towels for your kitchen and these are just a few of my favorites! I love and adore the vintage feel of these dish towels. They look like a page out of an illustrated book to me. Just a fair warning that not all of these towels are going to be kid-friendly, some of these towels do have a bit of a potty-mouth! AND MANY MORE!!! Seriously guys and gals, there are a lot of witty and funny dish towels to choose from. You can see all of the humorous towels that are available by clicking HERE. As you know now, I am a huge fan of the dish towels offered at Perpetual Kid, but I am also a fan of their very loud, retro oven mitts. You can view all that they have to offer right over HERE! There are more available at Perpetual Kid that I did not share. I am going to show you three of my favorites below. My kitchen would love to have these oven mitts. Never fear! This hand-poured Rainbow Puke Lollipop does not actually taste like vomit! This Rainbow Puke lolli is a fruit punch flavored pop and it also has some rainbow candy sprinkles inside of it. This colorful lollipop is a delight to eat and you will be the envy of all your friends when you are sucking on this! Do you have a bacon lover in your life? Show them you care and satisfy their sweet-tooth at the same time with these bacon-flavored lollipops in this gift set. Looking for laughs on a budget? Perpetual Kid has several different hilarious packages of gum to choose from. See all of the gum that is available HERE. Perpetual Kid also has some fun and unique bandages available. Here are some of my favorites that I found. I shared the food-related bandages with you here. If you would like to see all of the other bandages that are available at Perpetual Kid click HERE. Perpetual Kid is currently having a Christmas clearance sale with several items discounted 50% off. No coupon code needed! Click HERE to shop the clearance sale! What novelty item will you be splurging on and treating yourself to at Perpetual Kid? Let me know in the comments what item(s) you gotta have! This entry was posted in Shopping Guide and tagged bacon, beer, burrito, candy, coffee mug, cupcake, dinosaur, dish towel, Friday Faves, gag gift, gift guide, gum, humor, mug, nacho, oven mitt, Perpetual Kid, pickle, pizza, popcorn, rainbow, shopping, shopping guide, taco, unicorn. Bookmark the permalink.